The Tropical Travelers arrived in Prague! 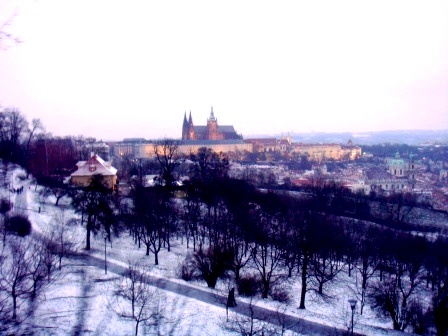 The Mean Girl shook me violently and I abruptly woke up all panicked, thinking that robbers were hijacking the bus we took from Vienna to Prague, the last leg of our winter escapade. Luckily robbers were not the case, the emergency was the stunning view of a completely frozen lake that mirrored perfectly the snow covered barren trees and grounds. Everything was white. And still. This must have what Narnia would look like under the White Witch’s reign. We were so mesmerized that we did not have the time to snap a photo, but I took it as a sign that Prague would be magical. Hands down, Prague was the most captivating place I’ve ever been to. There was a magnetic aura that attracted us to the point of being hypnotized. It was beautiful, but its beauty was not mild or traditional. It was striking, bold, powerful, even hinting on dangerous, but the kind of danger that would give you a thrill. It was beautiful in the way the devil must be beautiful. 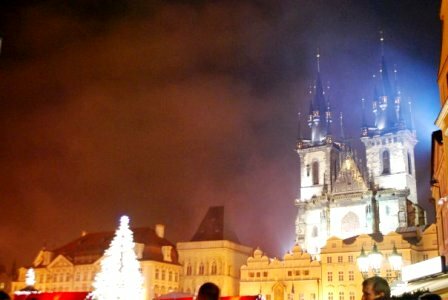 Praha, as the Czech calls it, would lure and seduce until you succumb to its spell. 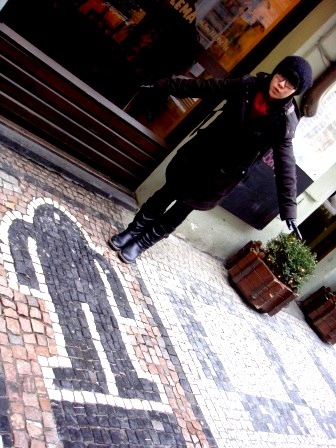 There was something to see in every Prague’s every nook and cranny. More than that, everything you see comes with a legend. Not fun, light, and feel good fairy tales. Gory, bloody, vicious legends – the proper fairy tale. 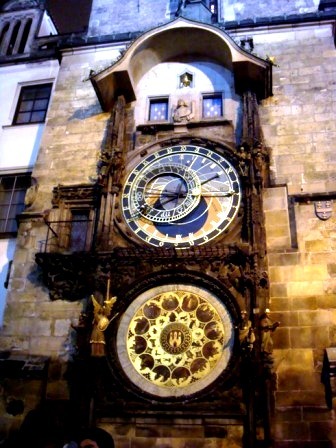 Take the Astronomical Clock at the Old Town Square for instance, one of Prague’s iconic landmark. The clock has been the city’s pride since its construction in the 15th century by the ever talented Master Hanus. The city councilors became so proud of the clock and were so determined to ensure that no other cities in Europe could have any clock that rivals it that they ordered for Master Hanus to be blinded with a hot knife. 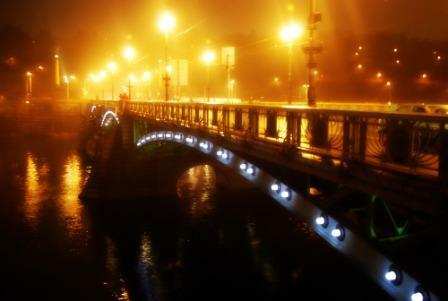 Or the St. Charles’ Bridge, the most popular among all the bridges that connects the Old Town and the Lesser Town. The bridge, adorned with 30 statues of saints and patron saints, have been standing for six centuries – at a heavy price. Centuries ago, when St. John of Nepomuk was thrown from the bridge, one of the arches fell and could not be repaired by anyone or anything – until the devil himself came to one of the builders and offered his aid. At a price, of course: the soul of the first person to cross the fully repaired bridge. The builder thought he could outwit the devil when the time came, so he agreed. But alas, the devil was more cunning. He assumed the shape of a human and told the builder’s wife that her husband had a terrible accident and was waiting for her at the end of the bridge, so she ran with all her might and became the first to cross the repaired bridge. She died the next day, together with the baby in her womb, and the builder was left in remorse although the bridge remained until today. The church where the Jesus statue in the above photo was carved in also held grave stories. 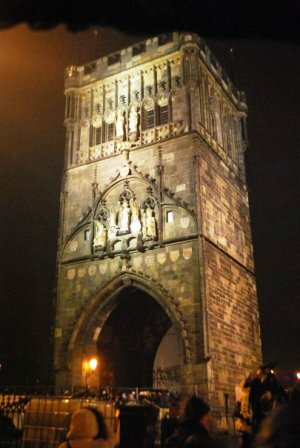 The church in the Old Town was rumored to be where the heads of 27 beheaded Bohemian lords were buried, after being displayed in public for ten years in the bridges across the Vltava river. 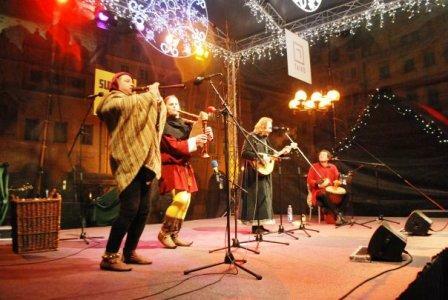 Legend has it that the lords still roam about Prague on the anniversary of their death, the 21st of June. The church tower in the same photo, belonging to the Church of Our Lady before Tyn, is not free of ghosts either. An old wicked rich lady inadvertently killed one of her chambermaids because she knelt down and prayed upon hearing the bells of the church while attending to her employer. The wicked old lady got away because of her wealth, but she still felt haunted by the chambermaid whenever she heard the church bells chime. 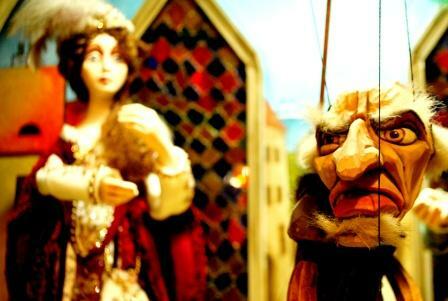 The Jewish quarters also held one of Prague’s most famous legend: the one of the Golem. 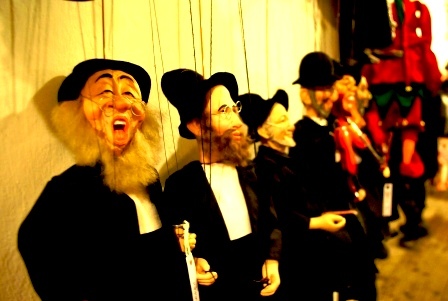 Having endured perils and threats for years, Rabbi Low decided to protect his people once and for all by creating an artificial man out clay. For seven days and seven nights he proceeded with his two most talented pupils, and concluded the process by putting the Shem, a holy parchment with secret symbols, in the golem’s mouth to wake him up. The golem then came alive and became a protector of the quarters. Once a week the Rabbi would take the Shem out of the golem’s mouth to let him rest during Sabbath, but one day he failed to do so because his daughter was very ill. The golem became restless and started running amok, destroying everything in his sight. Fortunately Rabbi Low could stop him before he hurt anyone, but then he decided that the golem was far too dangerous to be left alive and reversed the ceremony until the golem became nothing but a clay figure. You can wander around the cobbled narrow alleyways of Prague and felt a chill run down your spine, the pull of sinister magic so strong you couldn’t avert your eyes. 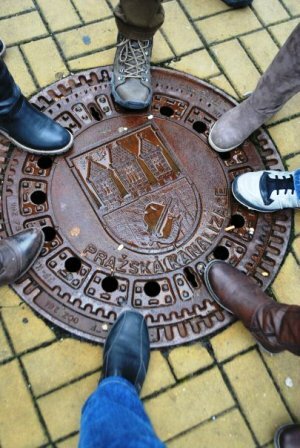 In Prague, legends of yesteryear and today’s reality overlapped and I felt that for four days I was living both at once. In a city like this, keep your eyes alert. 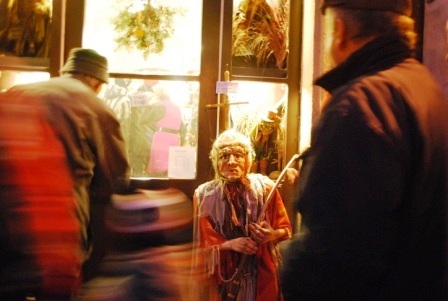 Who knows, perhaps you can spot baba jaga, the Czech with, amidst the crowd. Baba Jaga in our midst! P.S: This is the last leg of The Tropical Travelers’ winter escapade, which started with a very, very cold night in Brussels, a short day in Bratislava, and a quest for Sacher torte in Vienna! i am absolutely in love with prague. and i long for the day i can come back, hopefully with the hubby in tow, so i can once again experience its dark magic. praha, praha, praha. the Golem and its pieces from the clay.. 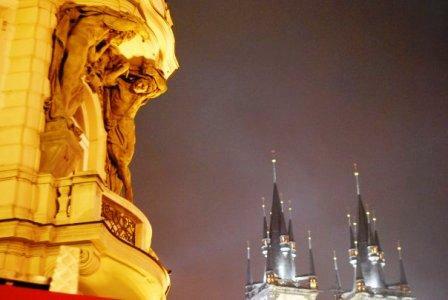 I remain under Prague’s spell until today.. Very poetic and endearing, ladies.